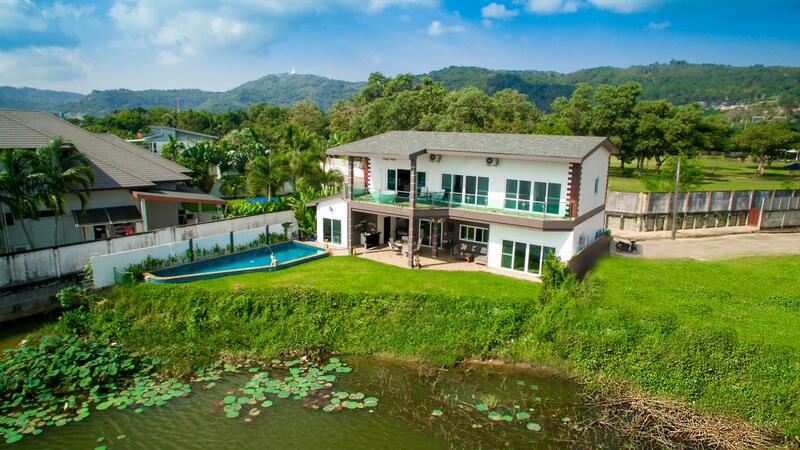 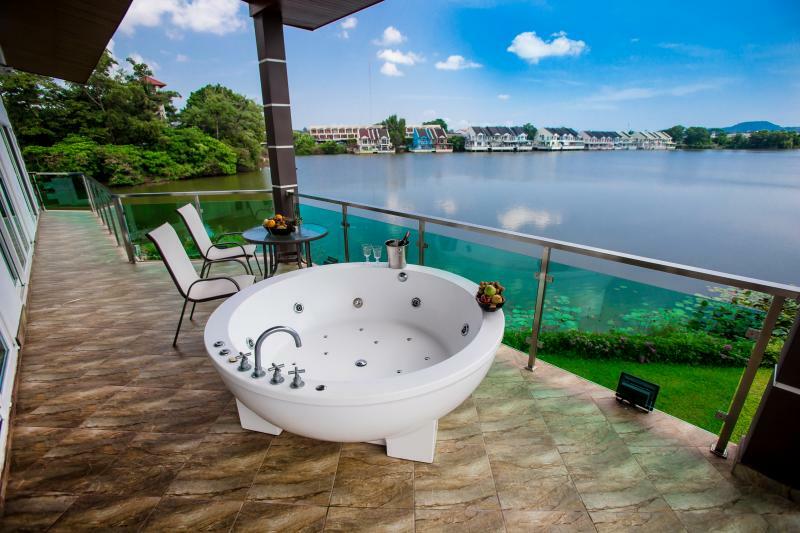 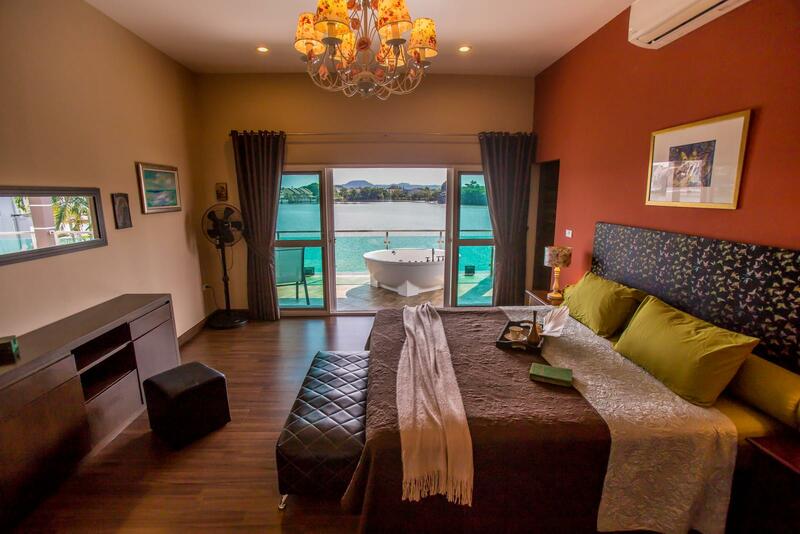 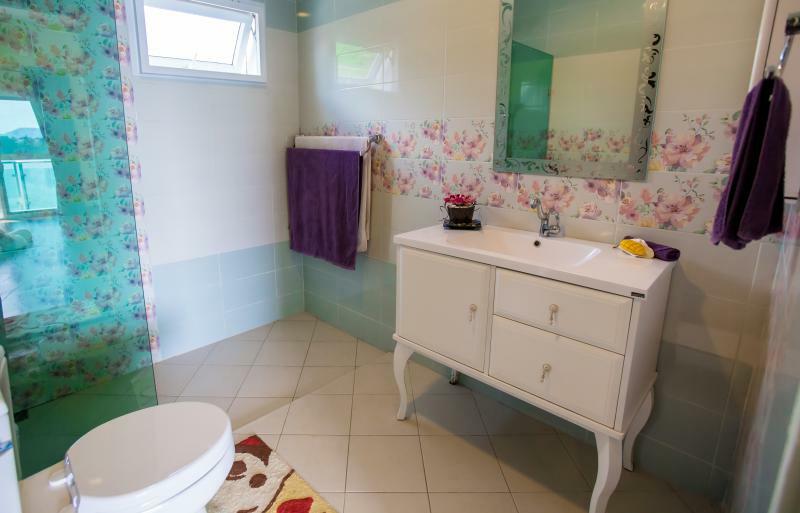 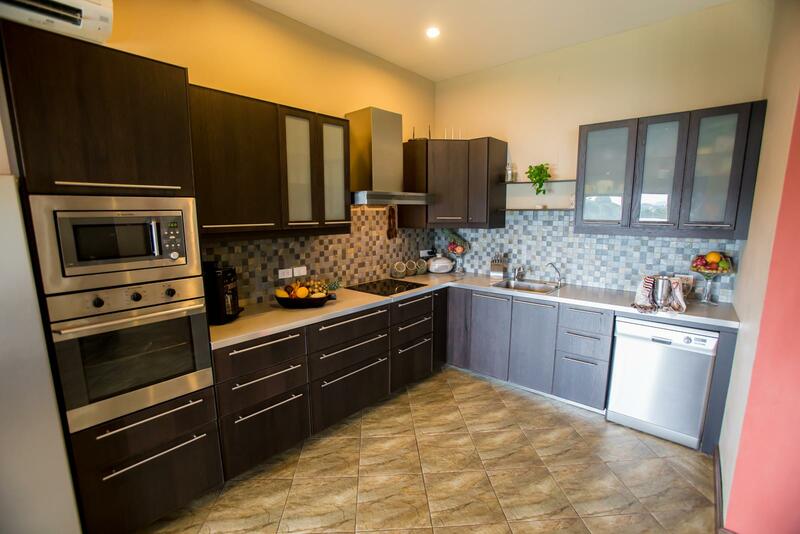 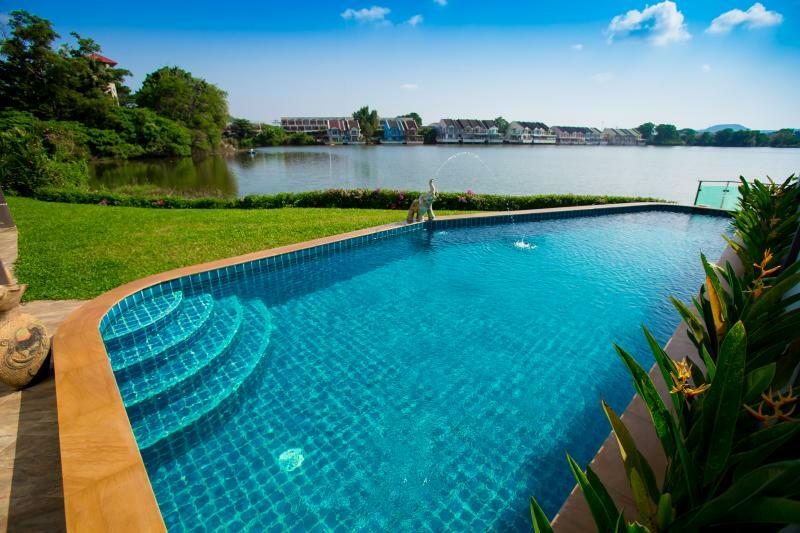 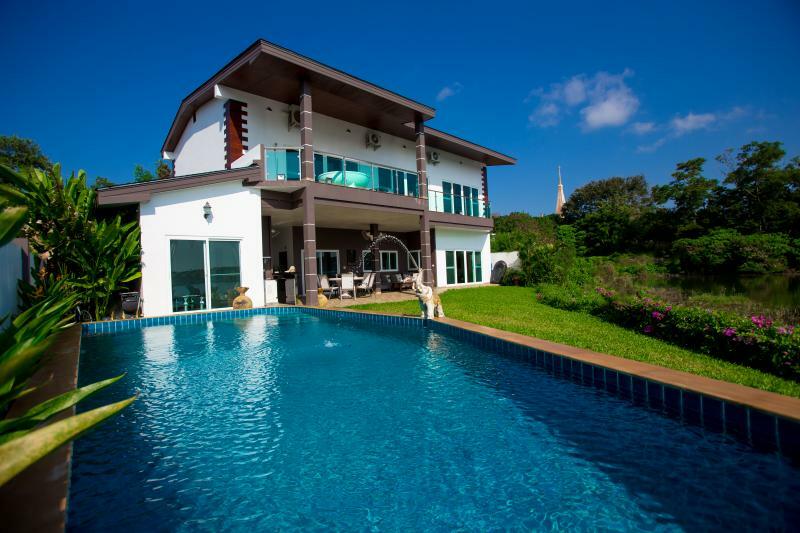 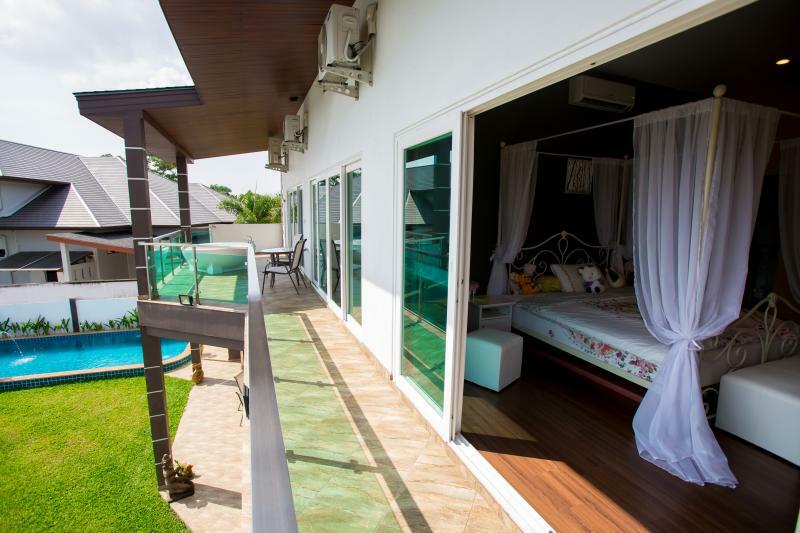 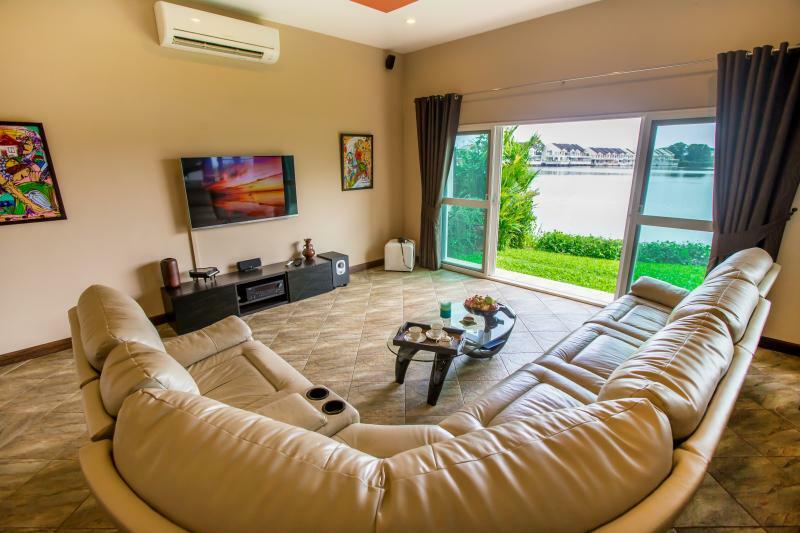 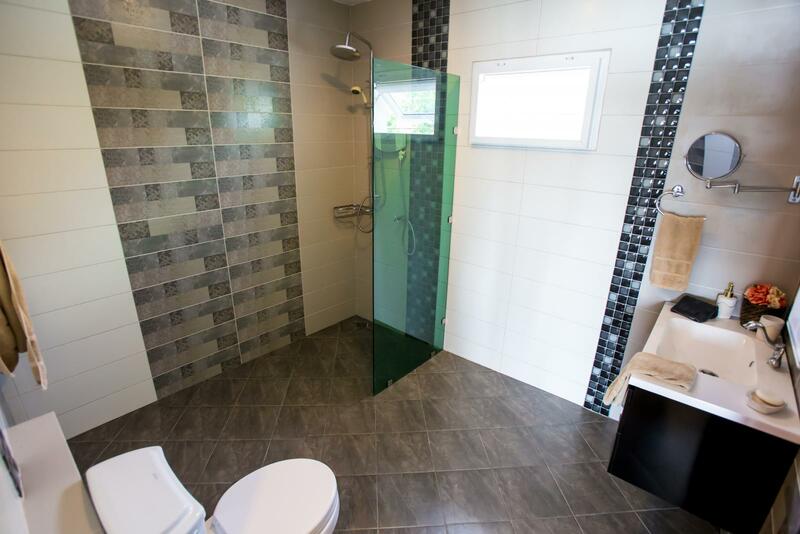 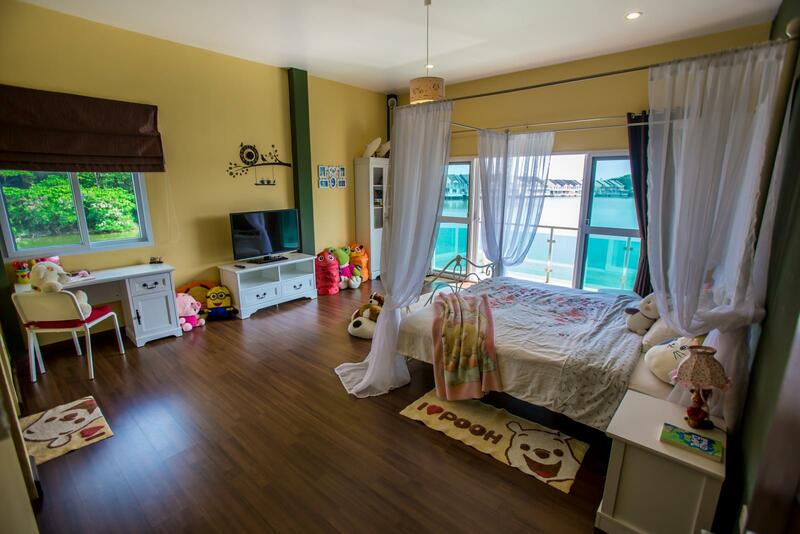 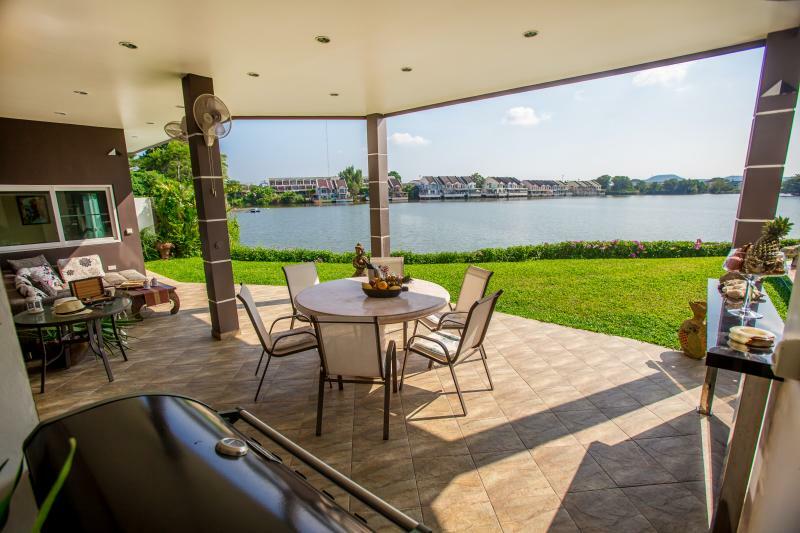 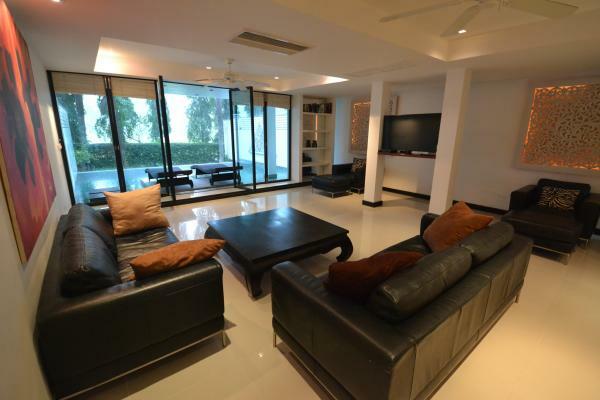 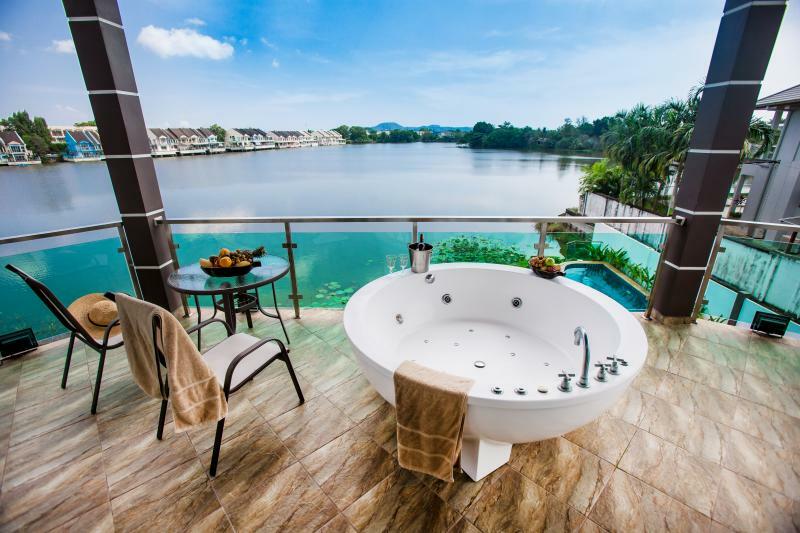 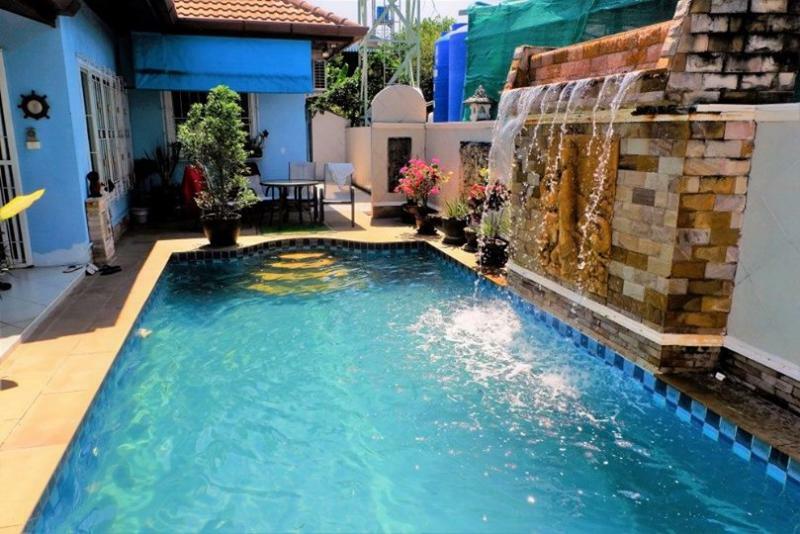 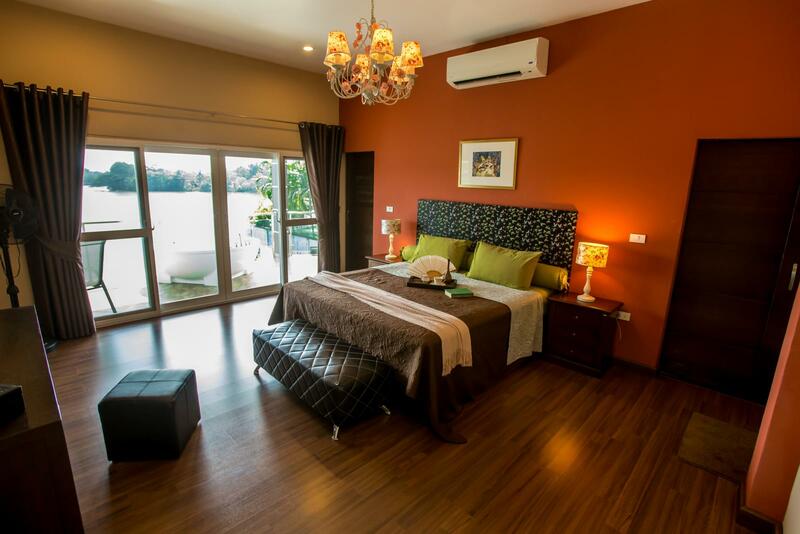 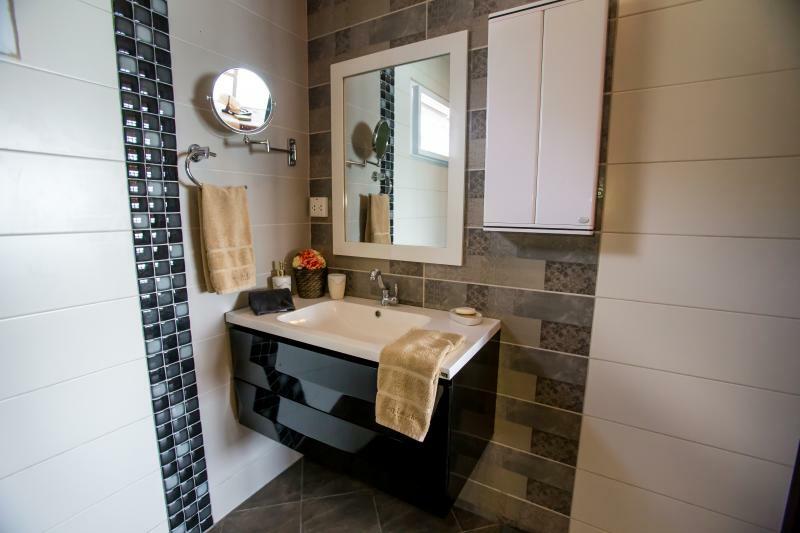 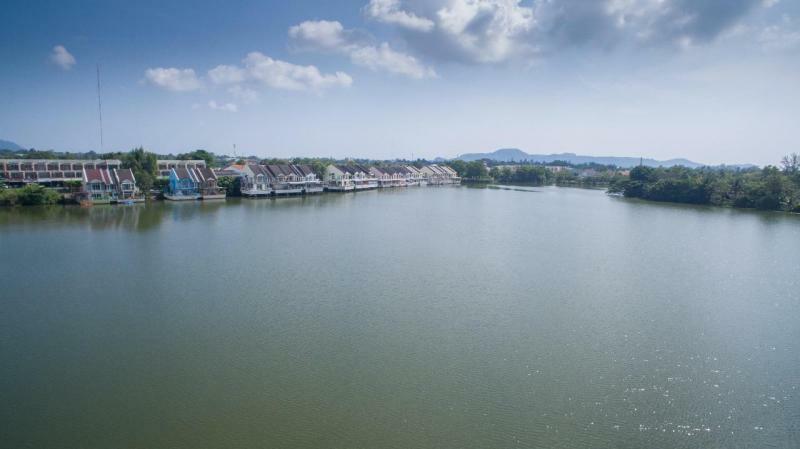 Chalong modern 4 bedroom pool villa for sale setting in front of a lake. 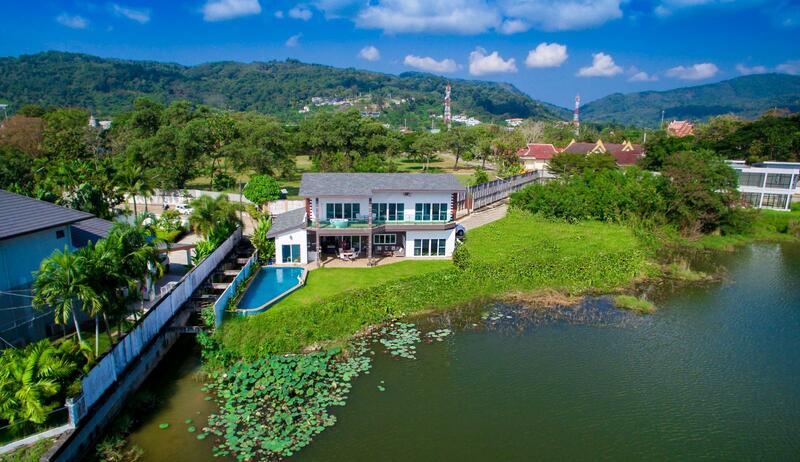 The backside of the villa faces Wat Chalong temple and the Big Buddha. 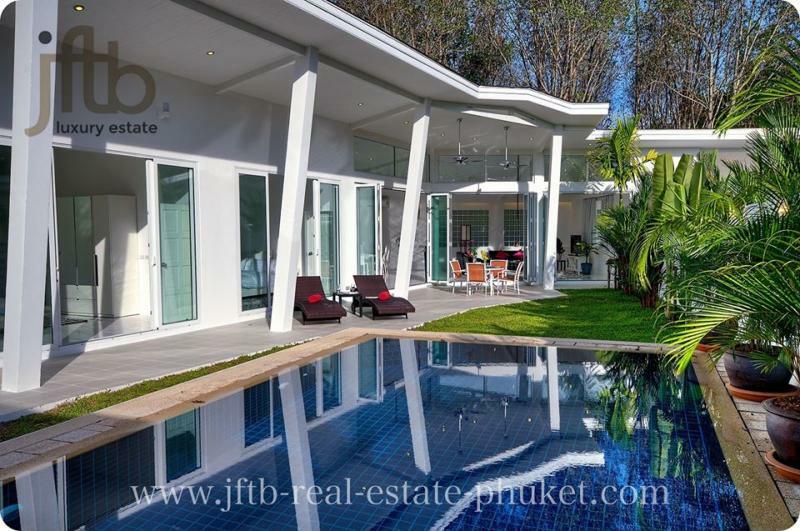 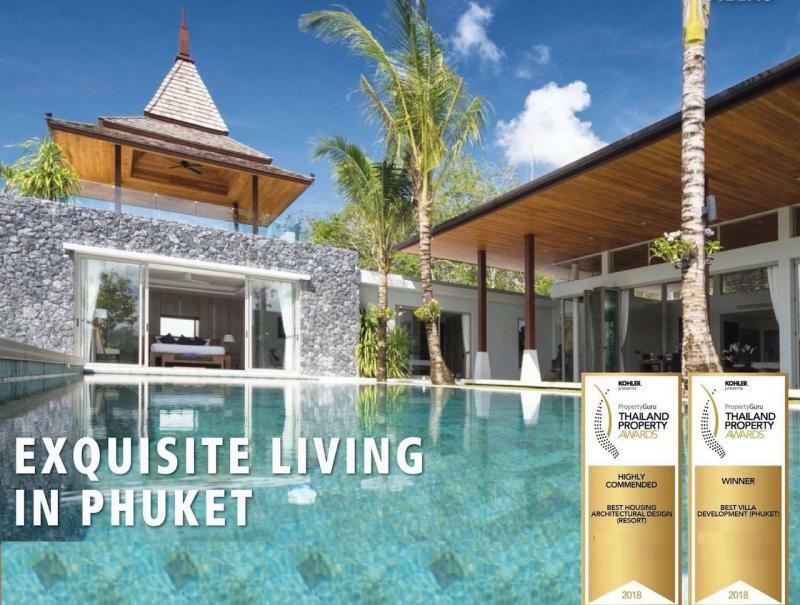 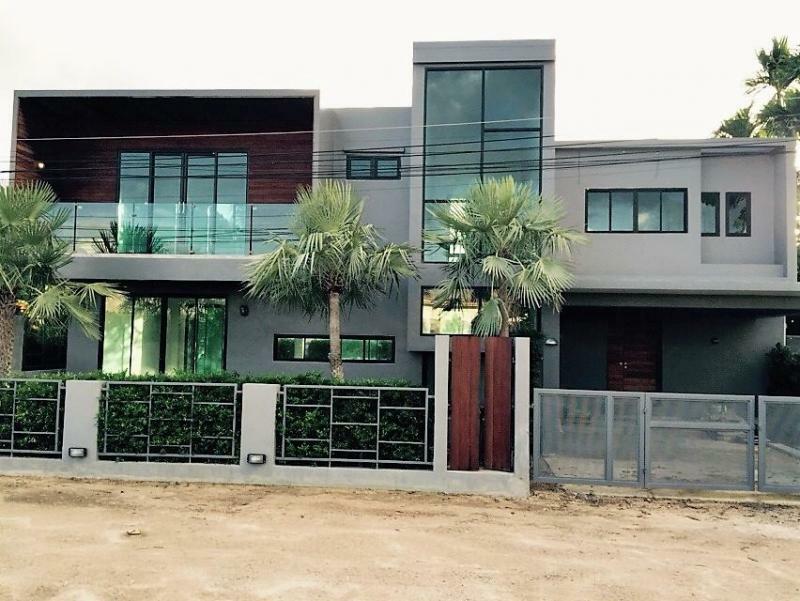 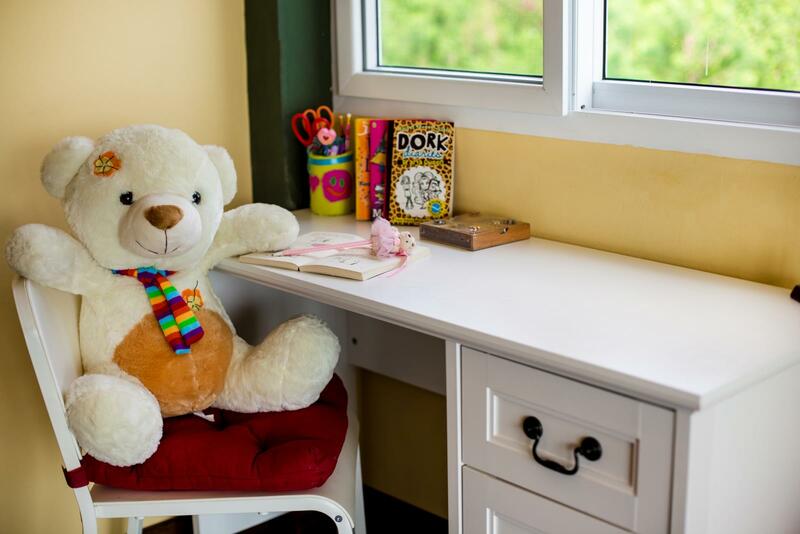 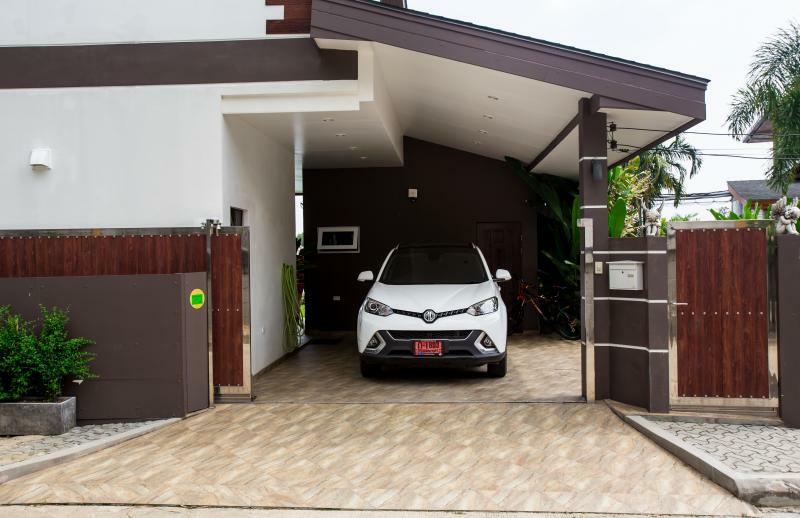 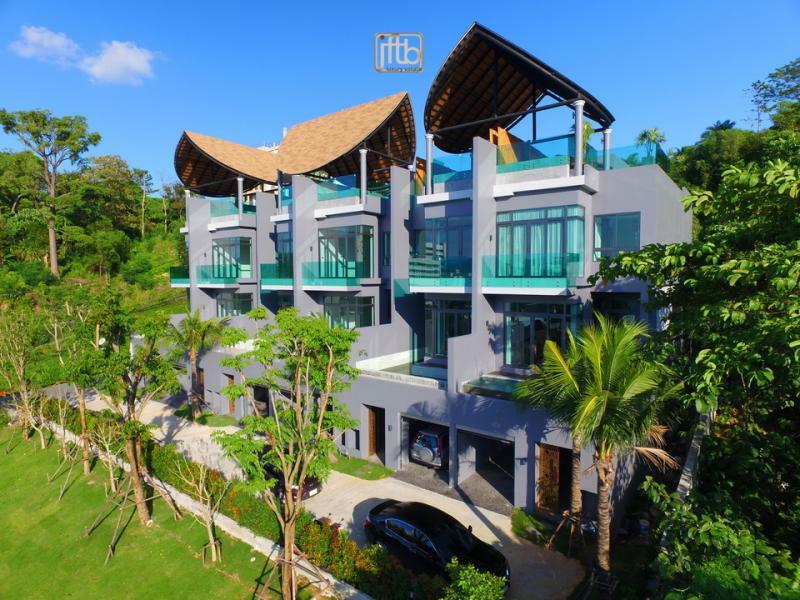 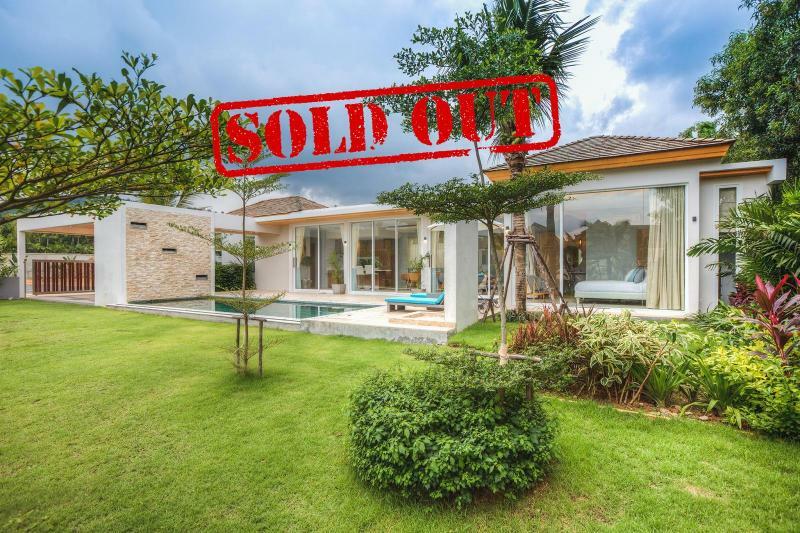 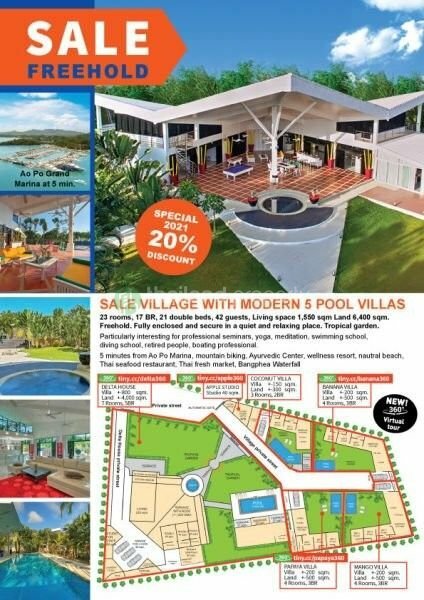 This two story's home has a living area of 450 m2 and a plot size of 320 m2, located inside the renowned Land and Houses Park Residence in Chalong,- It is a family gated community with security access, and the villa is located in the most prestigious and beautiful part of the development. 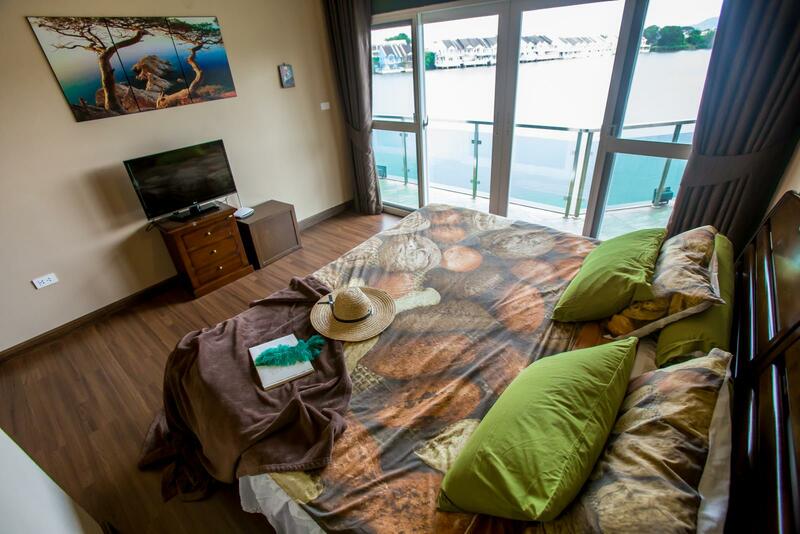 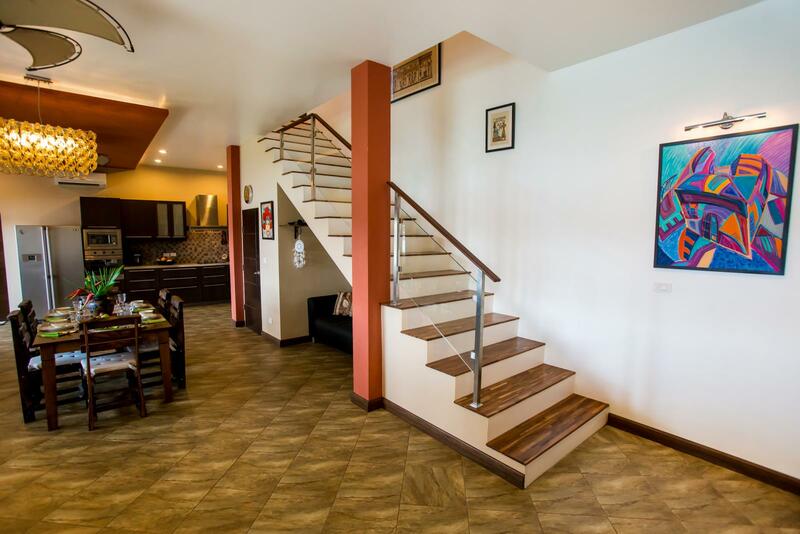 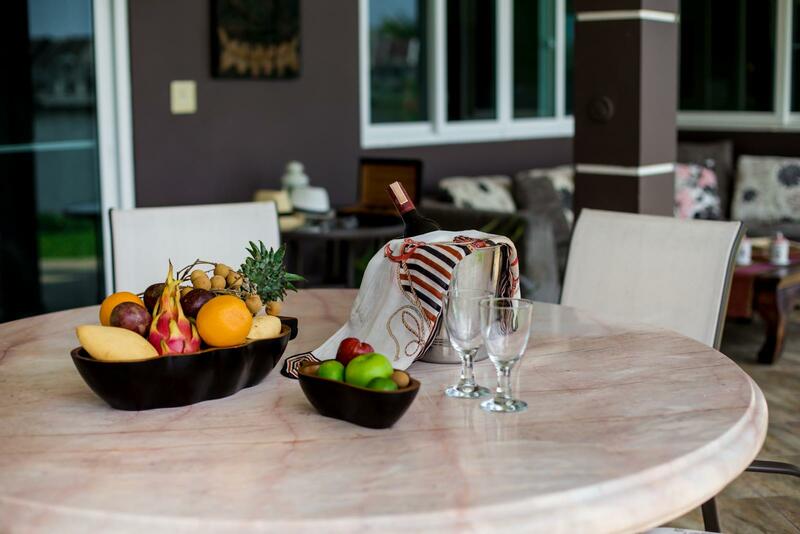 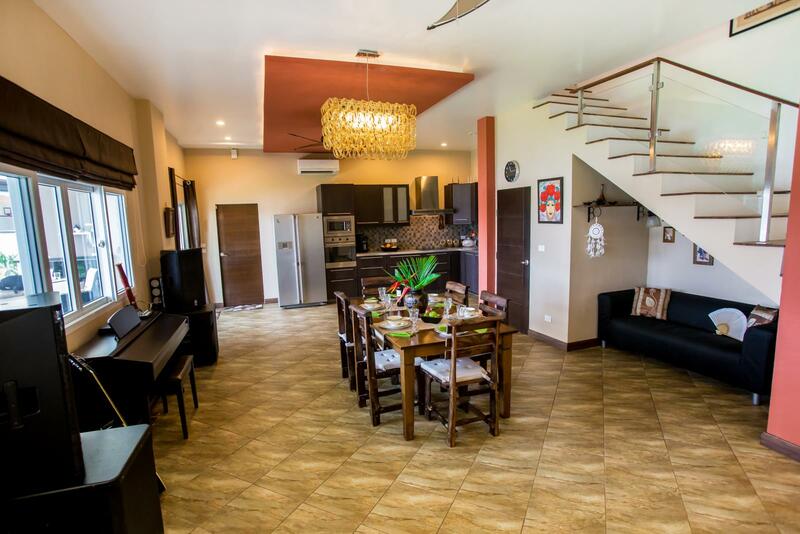 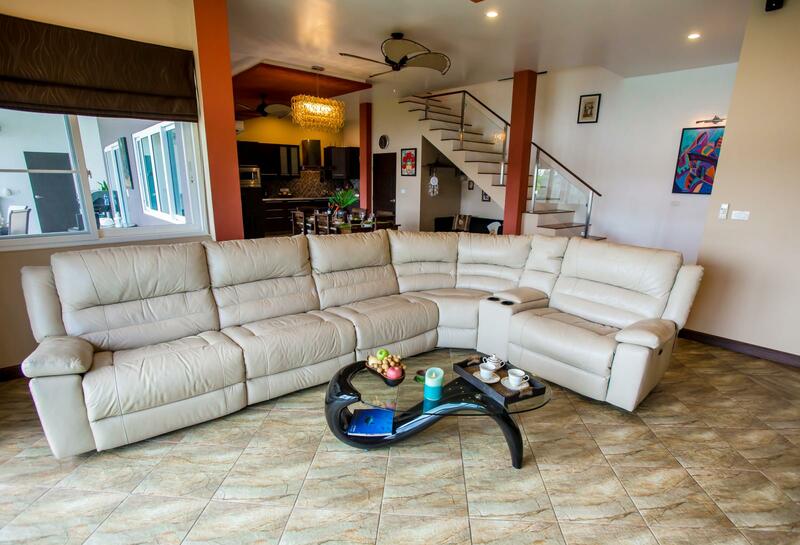 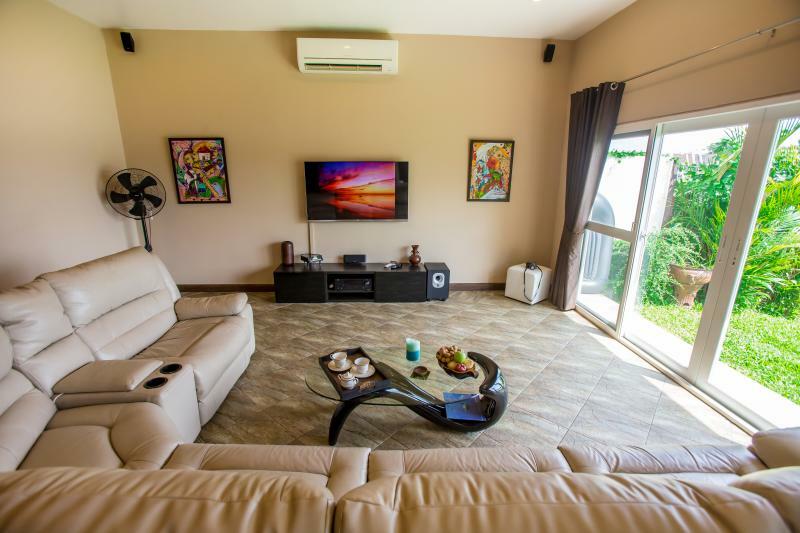 4 bedrooms, 5 bathrooms, master bedroom with a Jacuzzi on the terrace overlooking the lake, spacious living room, fully-equipped western style kitchen, covered patio area with a bar, private pool of 44 m2, covered parking area.